The soaring cost of specialty medications and the increasing complexity of health benefits means that consumers are asked to bear a larger share of the cost of their medications, yet most don’t know how that will affect their pocketbook or their health care. More than ever, consumers need to know upfront about drug prices, payer requirements, pharmacy options and potential out-of-pocket costs. At the same time, connecting patients with the costs of their medications is part of consumer-directed care and price transparency at the point of prescribing. But that’s easier said than done. 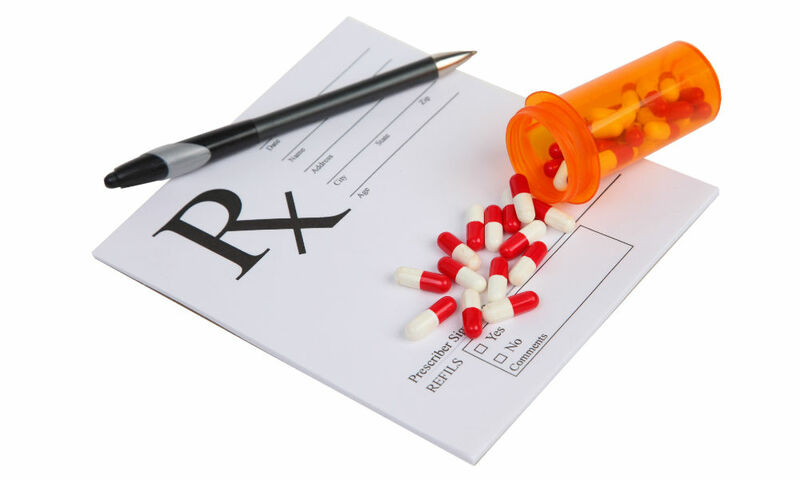 Physicians may be unaware of the need for prior authorization (PA) when prescribing expensive specialty medications, often because of data-related issues in the formulary and benefit (F&B) file used for electronic prescribing (ePrescribing). Since they don’t have all the facts at their fingertips — and don’t really trust what they do have — prescribers frequently order medications that are not on formulary, have higher copayments or generally are unaffordable. Patients’ out-of-pocket costs are often unknown until they are hit with sticker shock at the pharmacy. All of this often results in a variety of problems related to unaffordable medications, including reduced speed to therapy, abandoned prescriptions, disruptions in care, medication nonadherence, and unnecessary doctor visits and emergency department and hospital admissions. The industry response. The industry is aware of these issues and is taking action through the development of two new transactions: the real-time pharmacy benefit check (RTPBC) and the real-time medical benefit check (RTMBC). They represent continued forward movement toward connecting patients with the costs of care. RTPBC. The real-time pharmacy benefit check is an emerging transaction that focuses on pricing transparency for the patient at the point of prescribing, which is driving adoption. With the RTPBC, the prescriber and patient can have up-to-date information about a drug that is being prescribed as part of the ePrescribing process at the point of care through the electronic health record. The RTPBC lets the prescriber know in real time if the drug is covered, the copay amount for the drug and any plan restrictions. Potential alternatives can be provided if the drug is not covered. The prescriber also will know whether the drug requires PA, helping the physician obtain faster approval and improve speed to therapy. At the same time, all this information helps the consumer better understand the potential out-of-pocket financial obligations associated with certain drug choices. It also can help direct the consumer to a specific site of care — or site of administration, in the case of many specialty medications — that is covered by insurance. This dialog between the prescriber and patient, facilitated by the RTPBC, is an important way to engage patients in their care and improve outcomes. An RTPBC standard is under development by the National Council for Prescription Drug Programs (NCPDP). Even though the federal government has not yet adopted an RTPBC standard, several vendors are offering RTPBC connectivity due to the value of the transaction. For example, there were 3.1 million RTPBC transactions in 2017 through Surescripts. This growing transaction volume indicates the RTPBC’s value to patients, payers and prescribers in better connecting consumers with the costs of their medications. RTMBC. Work on a related transaction area that industry leaders are calling the real-time medical benefit check is just getting off the ground. It is needed because roughly half of prescriptions today are for drugs, devices and procedures covered under patients’ medical benefit. These can also be a huge hit to consumers’ pocketbooks if their costs are not known at the point of the prescribing. That said, the development and widespread adoption of the functionality required to support RTMBC is on a longer horizon due to the nascent efforts to expose medical payer systems to support specialty pharmacy. Connecting patients with the costs of their prescriptions. In addition to development of the RTPBC and RTMBC, what else can be done to better inform patients about the costs of their prescriptions? Here are some thoughts. 1. Accelerating specialty pharmacy automation. Specialty pharmacy is largely not yet computerized, relying heavily on antiquated phone-, fax- and paper-based processes. Work is underway to change that. The industry is taking steps to automate the complex processes used for filling specialty prescriptions, building on standards and implementations for ePrescribing. These also complement other efforts to automate various aspects of specialty pharmacy, such as patient enrollment. NCPDP has a new specialty pharmacy workgroup to identify issues that can be addressed through standards development. These efforts should increase momentum to accelerate specialty pharmacy automation, which in turn will drive adoption of the RTPBC and development of the RTMBC. It also will drive adoption of electronic prior authorization (ePA). 2. Adoption of the ePA standard. The time is right for adoption of the ePA standard from NCPDP. ePA is a tightly related, complementary transaction to the RTPBC and RTMBC. ePA allows the prescriber to electronically request a PA from the payer, a process that takes seconds versus the time-consuming manual method. The payer’s response also is received in seconds, benefiting patient costs and speed to therapy depending on whether the drug is covered. It is already being used by many in the industry and increasingly is becoming mandated by states. The newly enacted SUPPORT for Patients and Communities Act (HR6) calls for the government to adopt an ePA standard. Its use will be required for drugs covered under Medicare Part D beginning on January 1, 2021. This needs to be done sooner rather than later so an implementing regulation can be issued with enough time for stakeholders to comply. Adoption of this standard will help improve the patient experience and speed to therapy, as well as help drive the use case for the RTMBC and medical prior authorization. 3. Enhanced consumer communications. Paying attention to the consumer and providing high-quality experiences are parts of payers’ business models, especially those transitioning to value-based care. They are metrics on which providers are rated by payers and how certain public payers, such as Medicare Advantage plans, are rated as well. As a result, consumers must be given meaningful and transparent pricing information for their costs of care. Payers must evaluate and improve how they communicate drug pricing information to consumers. The same goes for pharmaceutical manufacturers. 4. Improved data quality. Payers also must improve their data quality so patients and providers can make informed decisions about which medications will work best and what affordable alternatives may be available. As mentioned previously, there are problems with the quality and accuracy of the F&B files used in ePrescribing. These data quality issues must be fixed if the information is to be used — and trusted — by prescribers. Development of the RTPBC and RTMBC represents a beginning of the end of the decades-long disconnect in drug costs for patients. Realization of the benefits of integrating these transactions into ePrescribing will take time but there is a huge potential on the horizon to improve the patient’s experience and avoid cost-related disruptions in care.